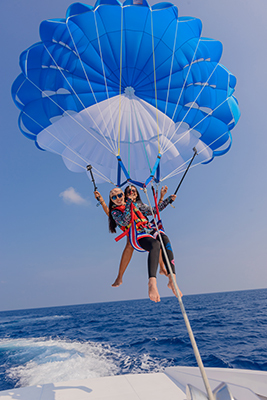 Explore The Sea Like Never Before! Available twice a week , on Mondays and Thursdays. 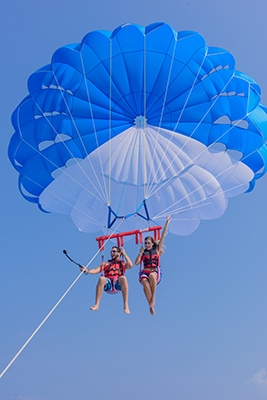 Please contact watersportsvadoo@gmail.com or afom.vadoo@adaaran.com.mv for more details on Parasailing at Vadoo.